We have re-designed our webpage on Caribbean cruise destinations. Learn which cruise options are available, possible ports of call, and choose one that suits you. Interested? Click here to read all about it. Carnival Cruise Lines is by far the world's largest cruise line, offering unforgettable vacations to people of all walks of life. And, they are willing to back that up with a sweet offer - the Great Vacation Guarantee. This offer was launched earlier and is now being extended through 2015. What is it? Carnival invites you to book one of their cruises and if within 24 hours of sailing you change your mind, the company will refund 110% of your expenses, provide complimentary transportation to get you home and even give you $100 shipboard credit to spend on a future cruise. This is undeniably a sweet deal! 2. 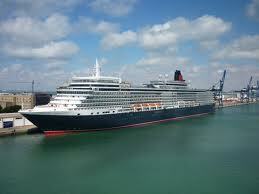 New Ships Setting Sail in 2014-2015. Be among the first to sail on these brand new ships. Check with your Travel Professional for booking details. 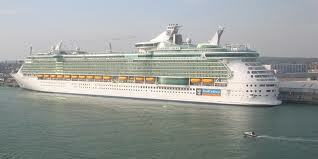 A group cruise is generally comprised of at least 8 cabins (number varies by cruise lines) with 2 or more passengers. Group cruise ideas: family reunions, employee appreciation, club or organization fundraiser, girlfriends' getaway, couples' retreat, church outing, wedding, etc. Plan now to get away for spring break, April 6 - 10th. Join those who will sail with Royal Caribbean's Enchantment of the Seas from Port Canaveral to Coco Cay and Nassau (Bahamas). Fares start at under $520/person for oceanview cabins and under $480/person for inside cabins (fares do not include taxes & port charges). The fare payment scheduled is flexible - $150/cabin due the end of each month starting in October, with final payment due January 15th. For more information, email me at peter@petestravel.com. Make this a "Bahama Spring Break Thing!" Tip: Book a Group Cruise With Carnival or Royal Caribbean! Booking a group cruise requires having at least two people per cabin for eight cabins. As a "Thank you" for bringing the cruise line this extra business, you will get rewarded. Carnival Cruise Lines or Royal Caribbean International will reward you by giving you credit equaling the average cruise fare paid by all members in your group. So, if you have 16 guests and the average fare works out to be $350, that is the amount that you have as a credit. As the group leader, you can apply this amount to your fare and end up paying a lot less than everyone else. Now you know why booking a group cruise is so cool. You will save money. 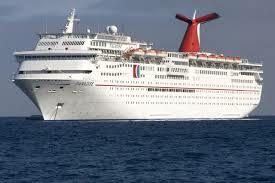 If you are interested in a group cruise, get with your travel professional, or let us help you. Before listing some cruise deals for November, I must tell you that there are some super cool savings currently available on last minute October cruises. Click here for October cruise savings! 1. Carnival Sensation offers a 4-day itinerary from Port Canaveral to the Bahamas on November 9th and 16th, starting at $189/person (double occupancy). 2. Carnival Splendor offers a 7-day itinerary from Miami to the Western Caribbean on November 30th, starting at $210/person (double occupancy). 3. Celebrity Constellation offers a 5-day sailing from Ft. Lauderdale to the Western Caribbean on November 24th, starting at $349/person (double occupancy). 4. Norwegian Getaway (New Ship!) offers a 7-day cruise from Miami to the Eastern Caribbean on November 1st, starting at $419/person (double occupancy). 5. Regal Princess (New Ship!) offers a 7-day sailing from Ft. Lauderdale to the Eastern Caribbean on November 16th, starting at $449/person (double occupancy). 6. Royal Caribbean's Navigator of the Seas has a 7-day itinerary from Galveston, Texas to the Western Caribbean on November 30th, starting at $318/person (double occupancy). The above offers are just a few of many November sailings. Click here for other cruise deals.